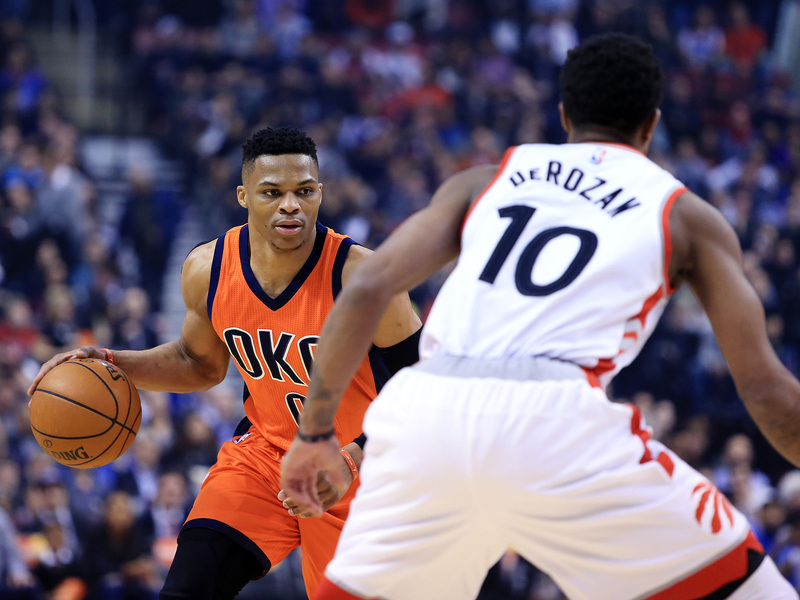 The start to the NBA season is chalked full of statistical anomalies, with Kevin Durant, Russell Westbrook and DeMar DeRozan at the forefront. The NBA season is not even a month old and yet we’ve seen some things that nobody could have expected, like the Warriors getting blown out at home, Dwyane Wade briefly turning into a three-point marksman and Nick Young trying on defense. While we can’t explain every head-scratching NBA happening (just chalk it up to sample size! ), a few numbers and trends have emerged from the season’s first month that may require further attention as the year continues. Here are only five of many, many stats to keep an eye on moving forward. DeRozan is the NBA’s scoring leader through the first three weeks, averaging an absurd 34 points per game. DeRozan has clearly been on a mission to make SI.com look foolish after we ranked him as the 46th-best player in the NBA, and so far, well, his mission has been successful. Perhaps most perplexing to us is how DeRozan is scoring all those points—chucking up midrange J after midrange J. DeRozan is averaging 12.2 field goal attempts per game from midrange, by far the most in the NBA. That’s at least three attempts more per contest than any other player in the league. That DeRozan is scoring this much while eschewing the three hints his current run is somewhat unsustainable, and unless he Freaky Friday body swapped with '90s Michael Jordan, DeRozan will likely come back down to earth. DeRozan is shooting 50.9% from midrange so far this season. Last season, in five fewer attempts per game, DeRozan connected on only 38% of his midrange shots. As captivating as it’s been to watch the Warriors’ relative struggles early in the season, Golden State is putting it together on offense. The Dubs have the best offensive rating in the league, and they’re currently slightly ahead of where they finished last year. Kevin Durant is probably still finding his footing, but he has already benefited greatly from his new set of teammates. This is most apparent on the perimeter, where Durant has been assisted on a whopping 94.7% of his three-pointers so far this season. The Warriors are creating wide open looks for KD behind the arc, and he’s knocking those shots down with ease. The burden for Durant to create his own shot with Golden State is considerably less than it was in Oklahoma City. Last season, Durant was assisted on only 64% of his three-point shots. Overall, Durant has been assisted on nine percent more of his field goals this season compared to last, and it’s possible that gap widens as the season continues. The Spurs have been one of the best teams in the league to start the season, and they’re nestled right under the Cavaliers for the fifth-best net rating in the NBA. San Antonio’s success has largely been driven by their young(er) stars, with Kawhi Leonard, LaMarcus Aldrige and Patty Mills(!) keeping the Spurs on their typical 50-win pace. What has to hurt Gregg Popovich, however, is seeing Tony Parker struggle. In Spurs two-man lineups that have logged at least 100 minutes, every pairing including Parker has a negative net rating. Perhaps most disheartening is that the Parker-Leonard two-man lineup has an awful –10.4 net rating. The issue here is defense. Parker is clearly a step slow trying to keep guards in front of him, and on the other end of the court, his outside shooting pales in comparison to Mills. The Spurs’ second-most used five-man lineup also has a disastrous net rating of –16.5. San Antonio’s most-used lineup, which swaps Parker for Mills, is a robust +20 points per 100 possessions. I’m unsure what to make of the Hawks, who entered this week second in the East and as the only team to beat the Cavaliers. Is Atlanta’s success this season any different from the past two years, when they were ultimately easy playoff fodder for LeBron? The addition of Dwight Howard at least makes this team interesting, and it appears Howard may be buying in to the team concept. Howard has been finishing in the pick-and-roll more frequently this season than last, and his points per possession as the roll man are up .18 points as well. Howard’s being utilized as a roll man on 13.4% of his possessions so far with the Hawks, compared to 9.3% his final year in Houston. That's a 4.1% increase, and Howard’s mark of 1.28 points per possession as a pick-and-roll finisher is higher than Anthony Davis, Karl-Anthony Towns and Hassan Whiteside. Look, it’s early in the season and Dwight’s stats could be some margin-of-error situation, but this is slightly promising for Atlanta. Howard is a devastating pick-and-roll player whose seemingly loathed that aspect of his game in favor of post touches. But Howard has the potential to form a special tandem with Dennis Schroder, a nimble guard who excels at getting downhill into the paint. 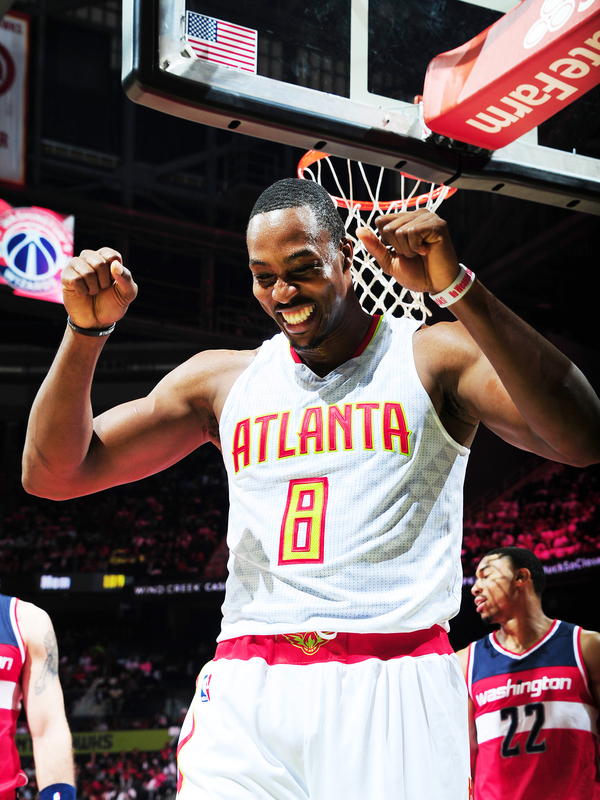 If Howard’s uptick as a roll-man finisher continues, the Hawks could eventually become a tougher out in the postseason. Before the season, my colleague Jeremy Woo and I wondered aloud if Russell Westbrook’s points, rebounds and assists per game total would eclipse 45. Russ is currently at 51.2, averaging 31.9 points, 10.1 assists and 9.2 rebounds per game, and he’s shown no signs of slowing down. Never take the under on Russell Westbrook.